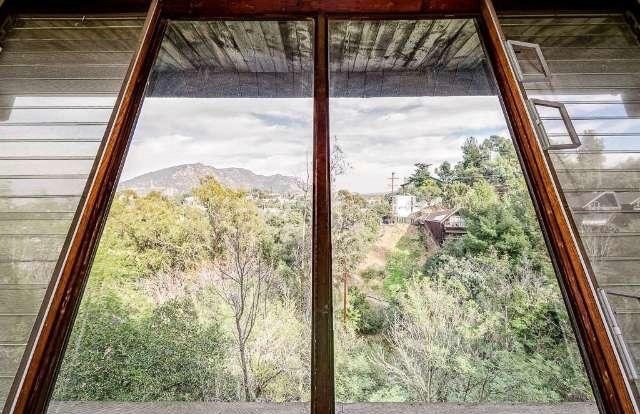 A treasure of mid-century modern architecture has hit the market-Iconic architect, Harry Gesner's Boathouse nestled high in the hills. 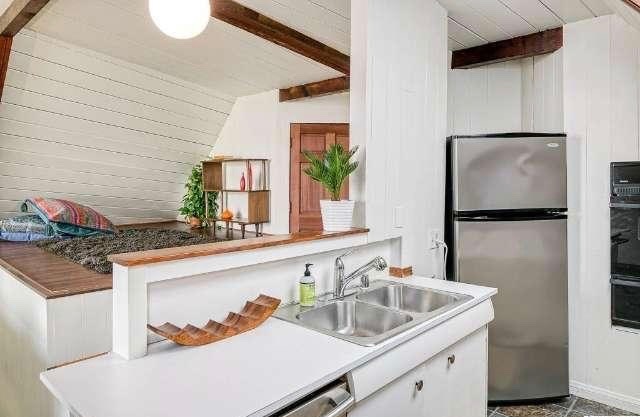 Built in 1959 by a crew of Norwegian shipbuilders, this 2 bedroom/1 bathroom features wood beamed ceilings, floor to ceiling walls of windows and a bright, open floor plan. 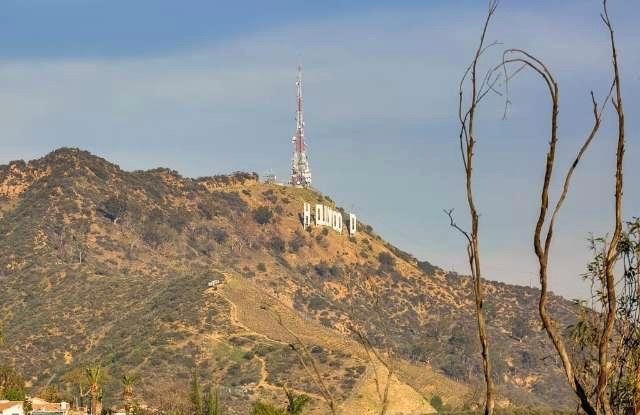 Stunning panoramic views of the canyon, Hollywood sign and San Fernando Valley beyond! 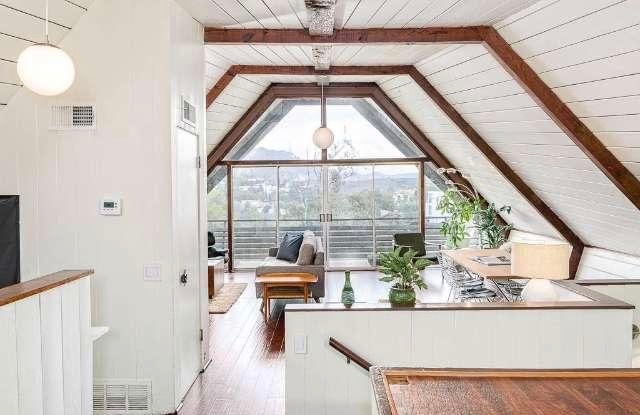 Spacious, A-framed living area leading out to a long patio suspended above the treetops is the perfect retreat. New Central A/C and Security System installed,MALM wood burning fireplace, LUTRON automatic privacy window shades, new carpet and wood flooring. 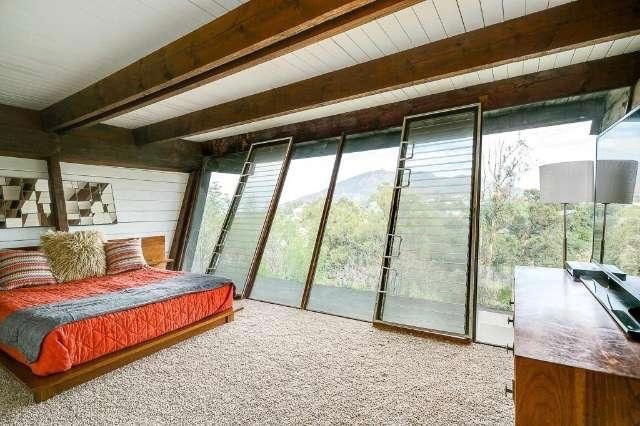 Don't miss this rare and celebrated iconic home!